Walker's Overlook was the perfect place for Greg & Rebecca to tie the knot. 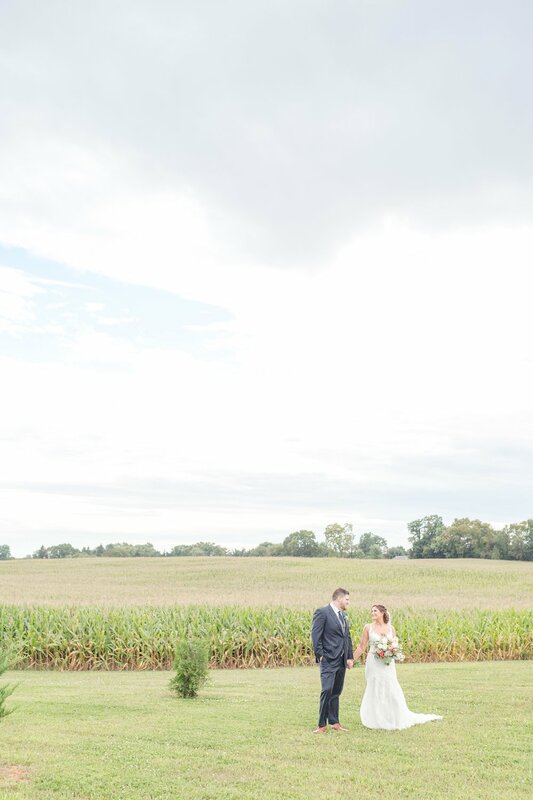 This venue is beautiful with the line of trees, charming house, wooden fence, and open tent reception area. It is gorgeous! It was sentimental to me as well because my sister got married at Walker’s Overlook last summer. Rebecca not only shared an emotional First Look with Greg, but also with her dad. After seeing each other Rebecca and her dad shared letters with each other. Mr. Belitsos letter’s was in a card that Rebecca drew when she was young that he keeps on his desk at work. It was a sweet surprise! There is nothing like the daddy/daughter relationship. Greg and Rebecca also read letters to each other so they could share some things with each other in private before the ceremony. They had the opportunity to do this because they chose to do a First Look. Such a sweet and special time! Rebecca and Greg also set aside lots of time for portraits which my little photographer heart loved! After the ceremony they danced the night away at their reception. They made sure to play some Greek music for the Belitsos family! One other aspect of their wedding that was really fun for me was a past bride and groom and future bride and groom of ours were guests at the wedding. So great seeing our couples!! Gotta love living in Smaltimore (our nickname for Baltimore being a place where everyone knows each other)! 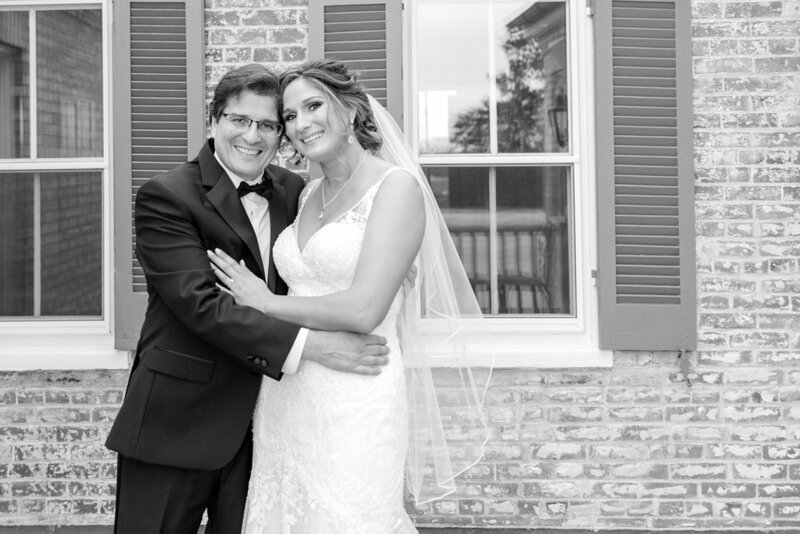 Enjoy these images from Greg and Rebecca’s wonderful wedding! These adorable robes go perfectly with your wedding palette, Rebecca! How cool are Rebecca's shoes?! One of my favorites. Rebecca, you are absolutly stunning! Greg couldn't wait to be Rebecca's husband! Greg and Rebecca had a far away audience during their First Look! Reading letters to each other. Love this idea! LOVE these florals by Ann's Garden! Rebecca, your dress was incredible!! Rebecca's dad wrote all of these names. SO beautiful!! 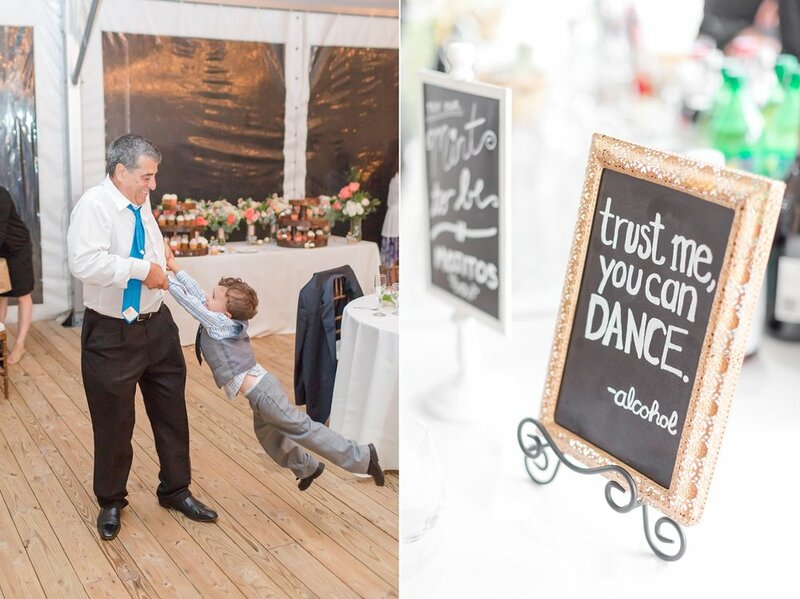 Halfway through Rebecca's dance with her dad the bridesmaids joined them on the dance floor and this moment happened! So awesome! SO EXCITED to shoot your wedding next summer Emily & Brian!! And of course so good to see Alex & Jean! Can't believe your wedding was two years ago! Adorable. Thinking of Payton being this age one day is so crazy to me!! Sorry that was so long; there too many good photos to choose from! Congrats you two, enjoy the rest of your honeymoon! 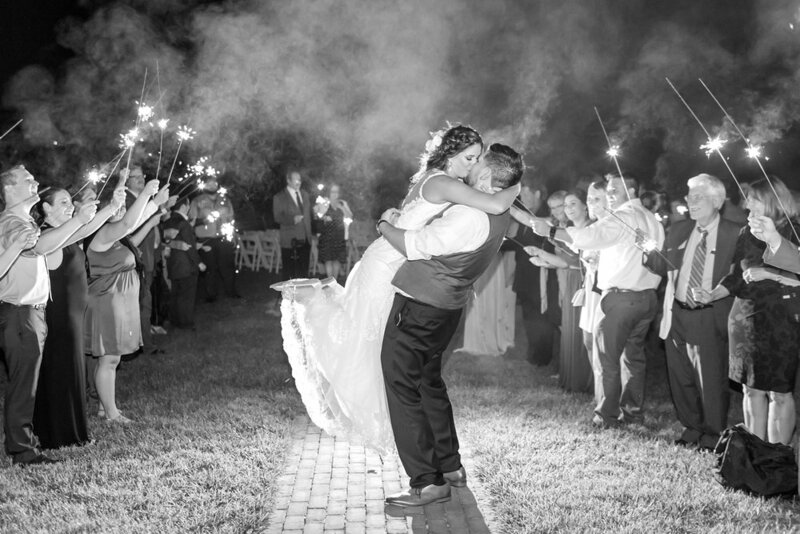 Want to see another beautiful wedding? 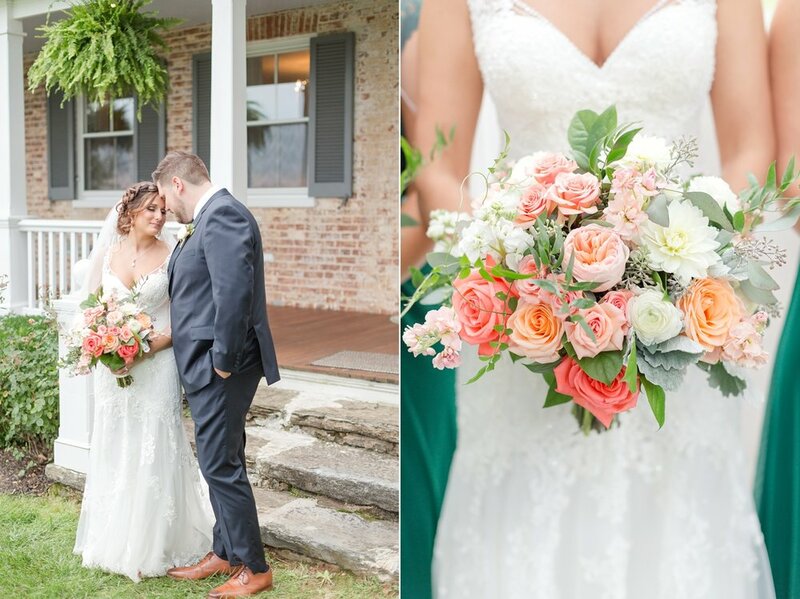 Check out Tommy & Allie's romantic waterfront wedding at The Bayfront Club!